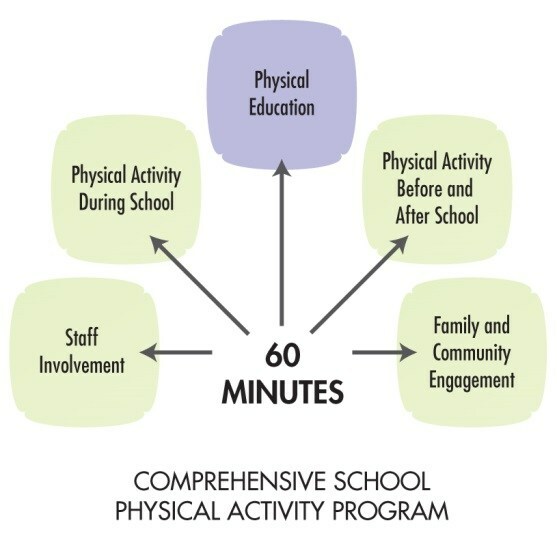 A Comprehensive School Physical Activity Program (CSPAP) is a multi-component approach by which school districts and schools use all opportunities for students to be physically active, meet the nationally-recommended 60 minutes of physical activity each day, and develop the knowledge, skills, and confidence to be physically active for a lifetime. 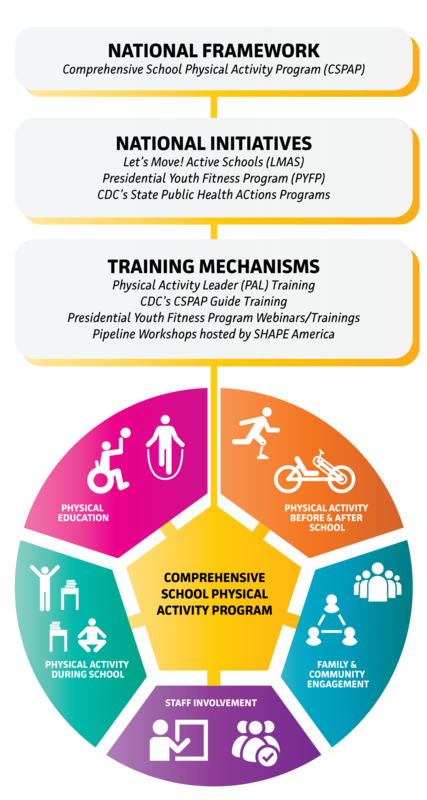 A CSPAP reflects strong coordination and synergy across all of the components: physical education as the foundation; physical activity before, during, and after school; staff involvement; and family and community engagement. To provide a variety of school-based physical activities to enable all students to participate in 60 minutes of moderate-to-vigorous physical activity each day. To provide coordination among the CSPAP components to maximize understanding, application, and practice of the knowledge and skills learned in physical education.